Polly Oz wrote: When I go to the purchase page, it says that issues are also available on android and in the App Store. Does the 'also' mean there is a third option? Also, in the App Store it doesn't access to the 87 back issues. Is that just a failure to mention, or does subscribing via the app not include the back issues? 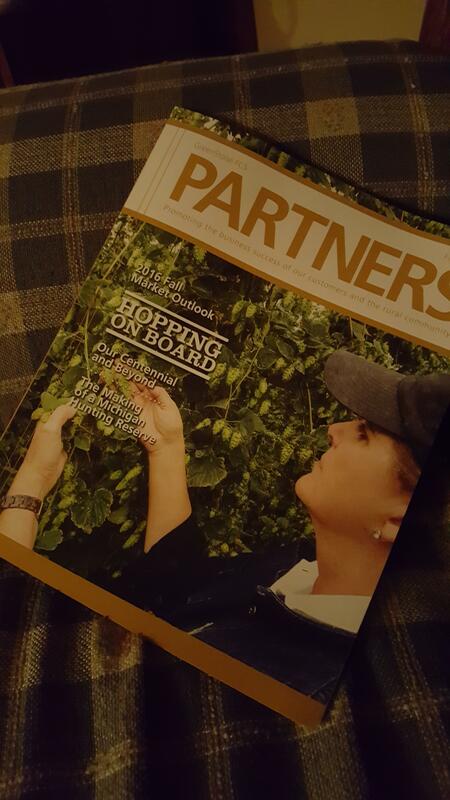 Subscribing via OUR individual app does not get you access to the back issues. With the "Exactly App", which is the app that is associated with Exact Editions (the website our digital mag is hosted on), you CAN access both our digital mag, and the back issues of our mother magazine. You have to subscribe on the website, before you can login to the Exactly App though. Subscribe to the Digital Version Here! I haven't explained that all thoroughly yet because OUR individual app JUST became available over the weekend, so I haven't even had time to clarify all of these details yet. Thanks for asking them here though, so I can answer them for permies folks first. Judith Browning wrote: Mine came in the mail today!!! YAY! Thanks for the kind words Judith. It warms my little heart to know you are happy with it! I would love to take a look and maybe subscribe, but unfortunately the font is so painful for me to read that I can't even evaluate the site's content. The all-caps titles are a problem too - all-caps is much, much harder to read than title case. Steven Kovacs wrote: I would love to take a look and maybe subscribe, but unfortunately the font is so painful for me to read that I can't even evaluate the site's content. The all-caps titles are a problem too - all-caps is much, much harder to read than title case. The fonts on which page are so hard to read? The entire website. I can't tell exactly what the problem is, but for me trying to read the site at all is like translating letter by letter from an unfamiliar alphabet - and I'm someone who reads quite quickly normally. I find it very frustrating. Maybe the letters are too narrow, or packed too tightly, or are too difficult to distinguish from one another, or something? It's definitely the font that's the issue, not the overall graphic design. 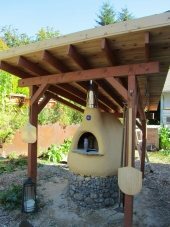 Permaculturemag.org. The other one is fine. I wonder if we are looking at the same magazine? I've been reading the one on line until my paper copy got here and I'm finding them both easy on my eyes and at the moment, because of eye surgery, I only have the use of my left one ....I'm on a full sized computer screen though and maybe it's a lot different for someone on a phone or ipad? I'm on a full-sized monitor, too, and have good vision. I don't know how to explain it other than to say that I find the font takes significant effort to read. It might just be me. Cassie Langstraat wrote: You still get the bonus 87 back issues from our mother magazine, but only for a limited time! 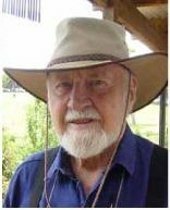 Yes, it says on the digital subscription page "Subscribe before June 30, 2016 to get FREE digital access to all of our mother magazine's (Permaculture, International) back issues – that’s over two decades of practical, tried and tested information, best practice case studies, projects, and new ideas. Please allow 7-10 days for access to the back issues to be activated. 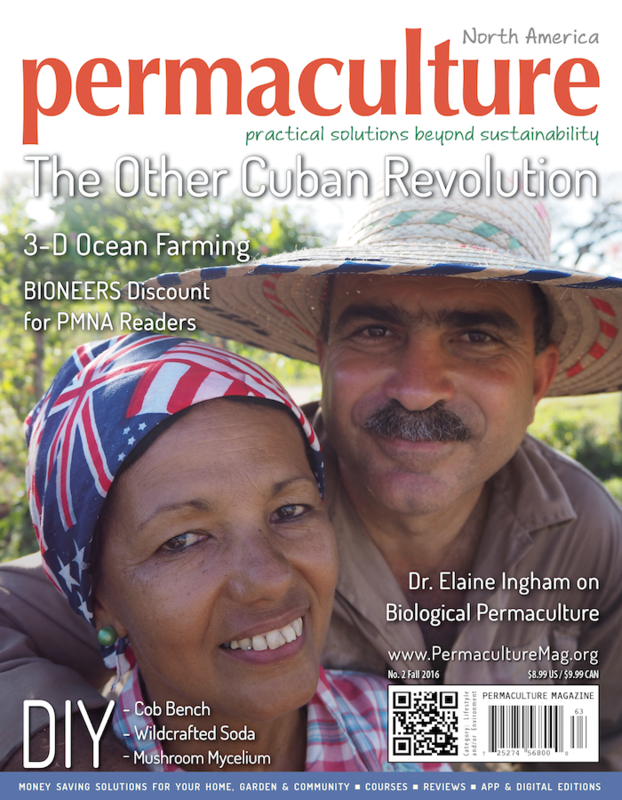 You will have instant access to Permaculture, North America once you subscribe." Cassie/Hannah/Staff, I got my first magazine of many in the mail yesterday and IT IS PHENOMINAL. You all did such a great job. It was super educational, easy to navigate, lots of great pictures and designs, I love it. 70 years from now when my great grand-kids are hopefully reading your magazine, I'll get to brag that I got the very first one. Steven Kovacs wrote: I'm on a full-sized monitor, too, and have good vision. I don't know how to explain it other than to say that I find the font takes significant effort to read. It might just be me. Nope, you are not alone. It's a good possibility you may have some form of CVS(computer vision syndrome). I'm in the same boat; I can read print easily but reading on a computer can be a test of wills for me sometimes especially if I've been on it a good portion of the day(I'm learning web development). The only thing that will improve it is computer glasses and they can make a significant difference. Jordon Thompson wrote: Cassie/Hannah/Staff, I got my first magazine of many in the mail yesterday and IT IS PHENOMINAL. You all did such a great job. It was super educational, easy to navigate, lots of great pictures and designs, I love it. 70 years from now when my great grand-kids are hopefully reading your magazine, I'll get to brag that I got the very first one. Um that just literally made me tear up! In a good way!! Thank you SO much Jordon. Aha! No, I see something totally different - see below. Why I see something different puzzles me, though. I'm on Windows and Firefox. Steve that's very odd because that looks like a mobile view format. Can you switch it to standard view or something similar? No wonder it's hard to read! Yes, Steve, you are looking at the website, and Judith was looking at the actual digital magazine. I appreciate your feedback on the font of the website. I will consider changing it. 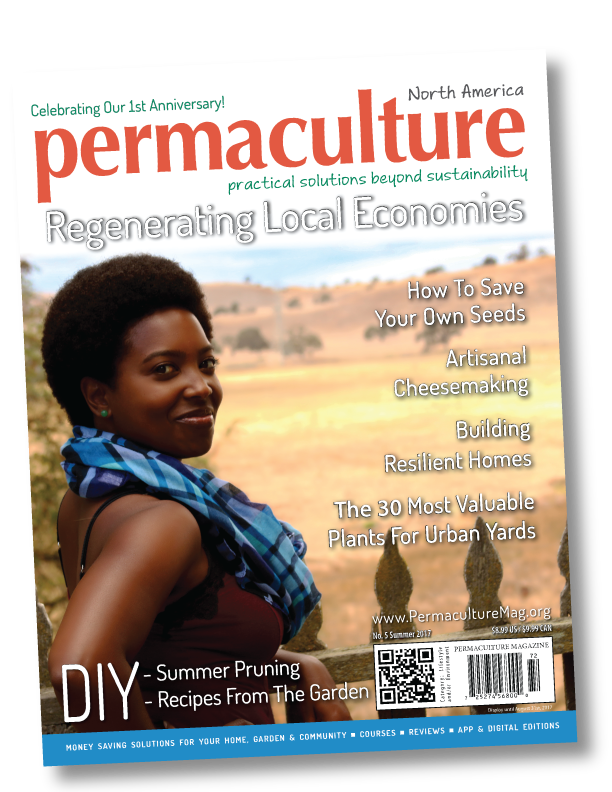 Today is the LAST DAY to subscribe and get Issue #2 of Permaculture Magazine, North America in print! Get 24 years of back issues digitally of our mother magazine with all print subscriptions. I decided to upload an image of the table of contents, so you could take a peak at all the other goodies. You permies are the only ones special enough to see this. Click the image to make it clear enough to read. OK everyone... grab this now!! I was smart enough to subscribe right away, and can confirm that it is ... delicious!! and if you miss another issue, you'll be starving. I really do think we are getting even better and better each issue too! Just dropping by to let you know about our new issue that's about to come out. We just went to press, so you have a few days left to subscribe to get the print version in your mailbox! 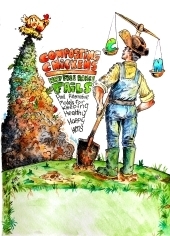 In addition to the titles you can see on this epic cover of Paul Stamets, we've got articles on Urban Forestry, Biological Permaculture with Dr. Elaine Ingham, An Interview With Charlie Mgee, DIY Tinctures, Mushroom Cultivation with Peter McCoy, and more. If you subscribe to the print version, you get digital AND print. Digital version is already available, here, if that's your style. I have no idea how I missed this thread during the summer, but it's better to subscribe late than never. Can't wait to get my first issue! Nick Watkins wrote: I have no idea how I missed this thread during the summer, but it's better to subscribe late than never. Can't wait to get my first issue! Always better late than never! I saw this post pop up in the recents a few days ago, and I'm like "Awesome! can't wait to see the new issue about the bees"
....and then I saw it! I caught a glimpse of it on the table. 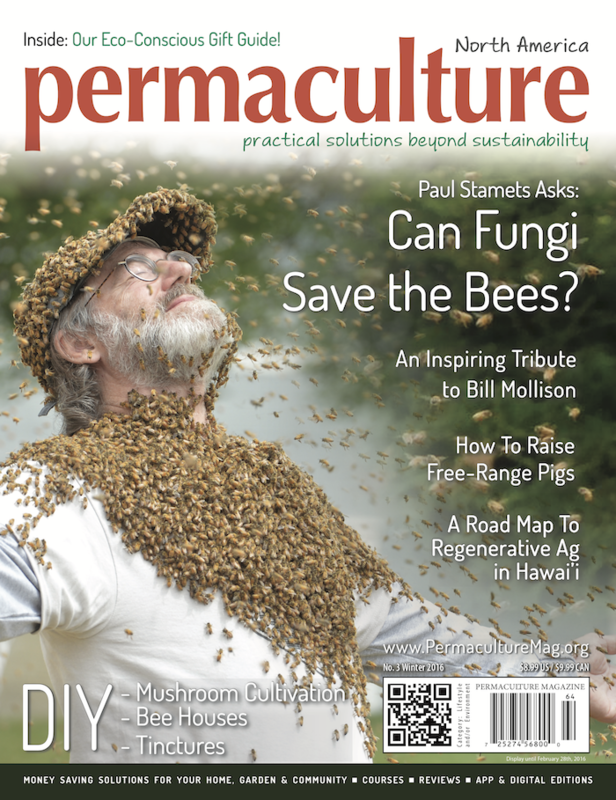 I started making plans in my head to the tune of "As soon as I finish the evening chores, I'll make a drink, sit down, and see the buzz around Stamets"
Turns out it was NOT Permaculture Magazine, but a dumb magazine from my mortgage company that looked deceivingly like the mag I actually wanted to read. I guess that'll teach me to assume! Hahahahha I didn't see your last little sentence under the picture at first and I was just like like hmmmmm, that is definitely not the magazine... Lol. Yeah, the new magazines just got done printing and so they should be to subscribers in a few weeks depending on how far away you are from California. <3 Latest issue is out and about. 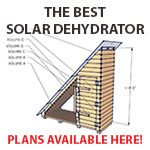 Click Here to Order Issue 05! If you are a subscriber, and your issue hasn't arrived yet, give it a week or two. The US postal system is sllloooowwwww sometimes. 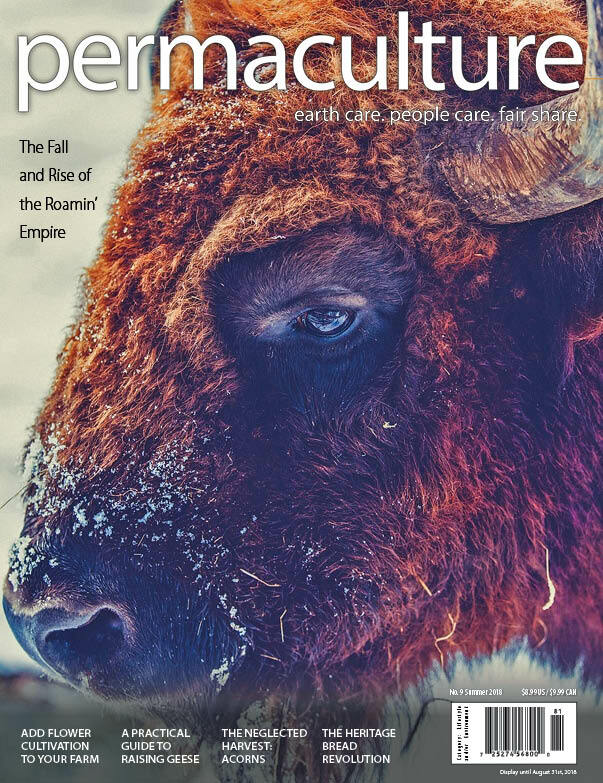 I had the privilege of being published in this Falls edition of Permaculture Magazine North America, so naturally, I've been carrying a copy around with me everywhere. 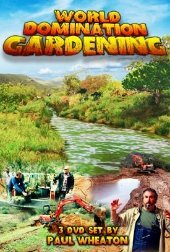 Some really interesting responses from 'what's permaculture' to 'oh wow, I didn't know there was a North American version of this, I'm a long time subscriber to the English one". 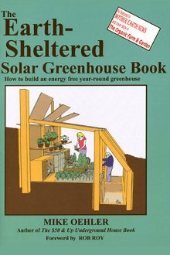 I also had (from a minor celebrity who I got to hobnob with earlier this month) "Oh, permaculture! I know that. Like the food forest? My Daughter just got her certificate thing and is helping me make a food forest, it's so amazing. I didn't know it included things like clothing" (paraphrased from my memory of the conversation). Since textile tools and production is her main thing, I gave her a copy and she's going to take it back home with her. 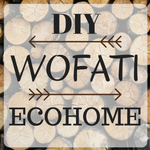 The company she runs is already pretty local eco-focused, but she got some really neat ideas from the magazine. Other responses include several people disappointed that they cannot find the magazine on the shelves of the local bookstore (but none of them asked the bookseller if they could get the magazine in so I don't know if the bookshop is having trouble getting it in or not aware that people want to buy it). A few of them went online but were confused on how to buy just one issue. I was confused why they didn't want to buy a year's subscription. PHEWWWW I have not posted an update on here in FOREVERRR. I have been SO busy, I moved back to Montana and got cows! Still doing the magazine too though, and this is our most recent issue and we just did an awesome revamp with our look, so now it's all sorts of sleek n stuff. - The North American bison and its relation to what was once the largest living carbon sink on earth: The Great Plains. Click Here to Subscribe to Print! What happened to the magazine? I loved every issue and looked forward to getting each one. I gotta say, when I received the UK mother magazine instead, I felt disappointed. Not that it isn't a fabulous publication; I read it at the library and enjoy it very much, I just felt the loss of the North American version. Whatever the reason(s), I just wanted to thank you for the great issues and let you know that I really enjoyed it while it lasted.